Long time, no Sunday Edit post. How are you all doing? I've just realised the last time I have done one of these posts was March, so I thought it was about time I brought you up to speed with what's been going on. Obviously you will have noticed that for as long as I can be bothered to think about, posting on here has been here, there and everywhere. If I'm honest with you, I hadn't fallen out of love with blogging, I just couldn't be arsed to blog. Free time I'd rather spend seeing friends and going to the gym, instead of sitting down at the laptop. Then the posts I have put on here, it's literally taken hours to write and felt more like a chore, instead of something which I have enjoyed. However at the moment, the blogging mojo is back good and proper. This weekend has been spent taking photos and writing up fresh new content for here, which I've wanted to write, instead of having to force myself to write. Even though I have been feeling a bit blah about blogging, I have been loving taking part in #bblogger chats on a Wednesday and Sunday nights. The amount of new blogs I've found has been amazing and I think this has majorly helped in reigniting my love for blogging once again. 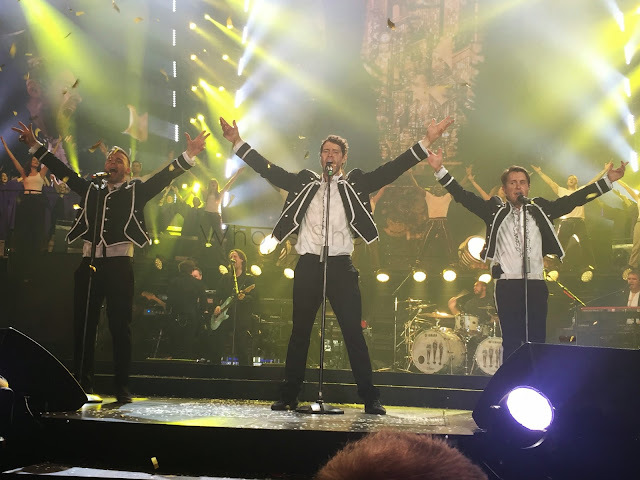 However before I go into the main reason why I have been absent from the blog, lets just admire the fact that could I have been any bloody closer to the stage on Tuesday night when I saw the mighty Take That at Newcastle's Metro Arena? I actually managed to touch all three members, and hands down I think I have suppressed myself with having the best standing spot going. If you follow me on Instagram or Snapchat (both @RayWhoisShe) you will probably know the main reason for the blogging absence - I've gotten a new job. After near enough eight years in my old organisation, after working towards a certain job, I am now a HR Business Partner. Like my previous job I won't be mentioning the company I work for, however I'm nearly a month into the post and I'm loving every minute of it. Yes things are manic, and I'm missing all my old work colleagues, however I've honestly never been happier. Sometimes you just have to take the risk (plus it helps that I'm working literally right next to the sea). So there you go, my life brought up to speed. Next on the list of things to do is watch more of the Walking Dead and eat my bodyweight in Dominos. Enjoy your bank holiday weekends. Loved this little update and congratulations on the new job!